In search of simple gift ideas for Easter? 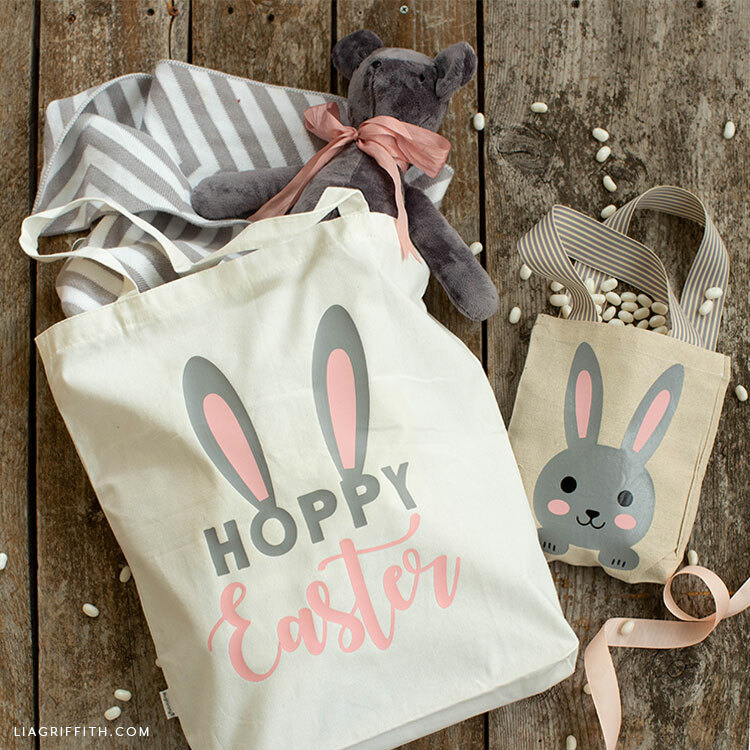 These Easter tote bags are a great alternative to Easter baskets. Plus they’re easy to make! We have two Easter tote bag iron-on designs for you to choose from today. Our hoppy Easter design is perfect for a large tote bag. 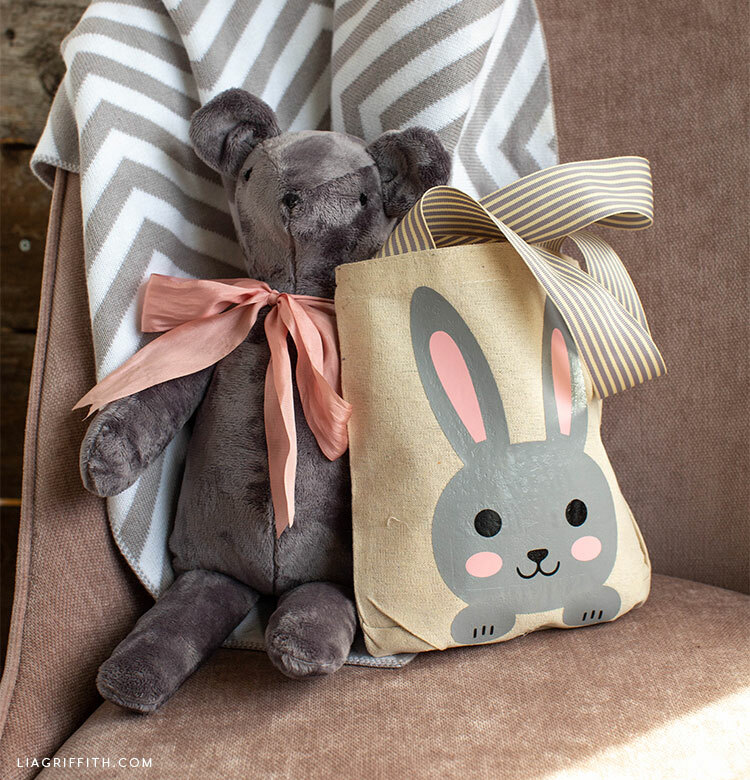 And our cute little bunny is a great way to personalize a small tote bag. 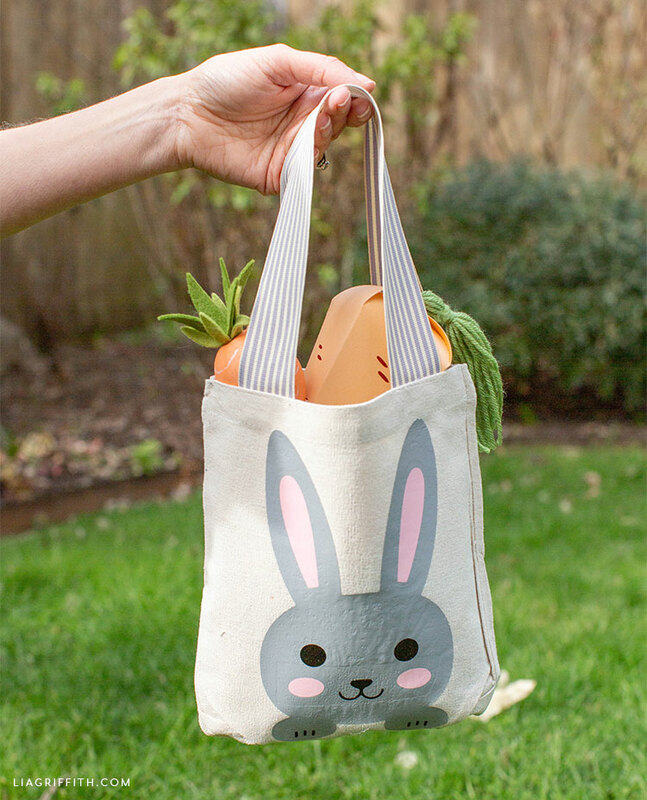 Our Easter tote bag iron-on designs are just too cute! 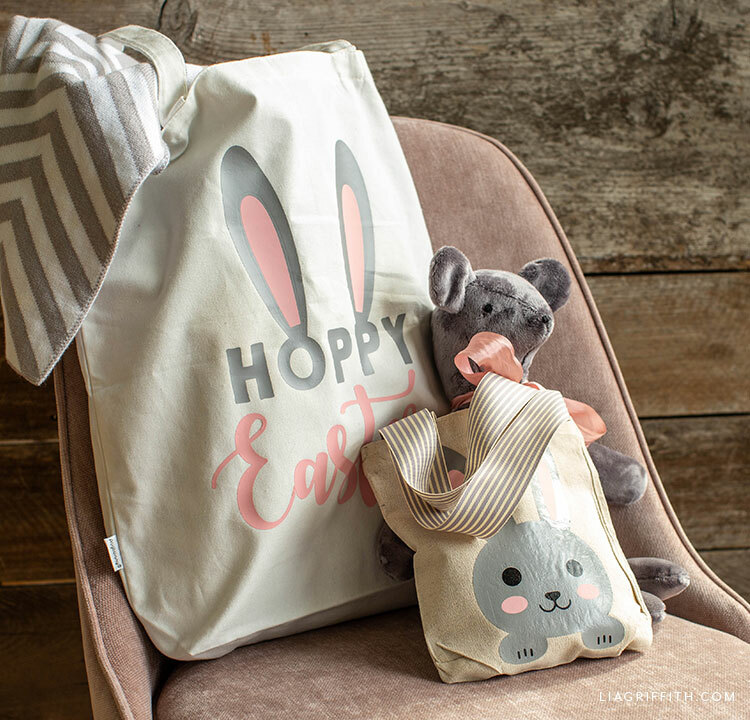 After you’ve crafted your tote bags, you can fill them with more Easter gifts, like a stuffed animal or soft blanket. Another fun idea is to fill them with sweet, little handmade gifts, like our paper carrot treat cones or our felt Easter bunny. 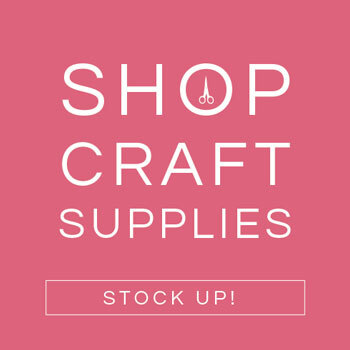 Ready to craft your Easter tote bags? 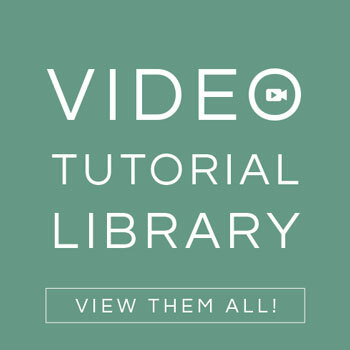 This DIY project includes both an SVG file and a PDF template, which you can download at the end of this post. We always use our cutting machine for iron-on designs. But if you don’t have one, you can cut this iron-on by hand. Download pattern below and cut from heat transfer vinyl. Follow recommended heat settings on the packaging. Iron on one color and layer at a time; use a press cloth in between layers. Want more ideas? You can browse all of our Easter crafts on the site. If you make any of our craft projects for Easter, share it with us and the rest of our crafting community! Tag #MadeWithLia when you post pictures. Or you can always share your LG projects on our Facebook page for members. To download this DIY project, become a member. 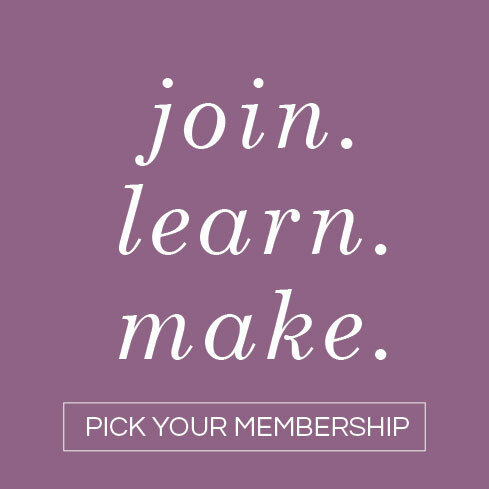 Membership gives you access to templates, SVG files, and step-by-step tutorials to help you grow your crafting skills and make projects you love. Have questions? Just comment below!